Now that most of The CW series have wrapped up for the season, I’m going to go through and analyze the shows for various things like best individual issue, comparing big bads, main character arcs, etc. Kicking it off with best new character, starting with The Flash. This one is pretty easy and was the character with the best story arc of the entire year: the Matthew McConaughey-inspired Harrison Wells… just kidding. 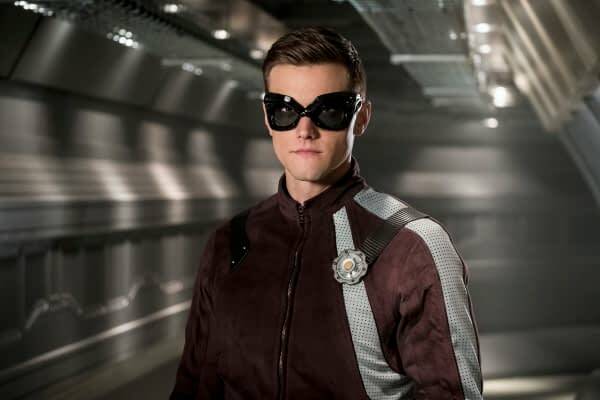 The best new character had to be Ralph Dibny, aka the Elongated Man. The first thing the series did right was casting Hartley Sawyer, who looks like a Carmine Infantino drawing come to life. I’ve never seen a casting that looks as much like the comic character since Robert Downey Jr. as Tony Stark. Hartley is perfect as Dibny. Then we have the story that takes him from a disgraced ex-police officer, caught by Barry Allen, to him becoming the victim of Clifford DeVoe’s (The Thinker) master plan and turned into a Bus Meta along with 11 other unwitting riders. Ralph is definitely not a hero when we meet him, which may have thrown some fans off in the beginning. He was a bit obnoxious and inappropriate. But as he spent time with Team Flash, he changed. He became a hero, and in the episode called ‘Lose Yourself’, Ralph made that final turn into becoming the character we know from the comics. His death was impactful on the series, and yet they found a way to bring him back for another season… something the show is known for doing. So I don’t think his return was that surprising. He was also an inspired choice to add to the series as he brings some of the lightness that had disappeared over the series. And it was a very comic book move bringing him in just as John Broom and Infantino did in 1960 to freshen up the Flash comics. The Elongated Man is a great edition to Team Flash and should be more fun in season 5.